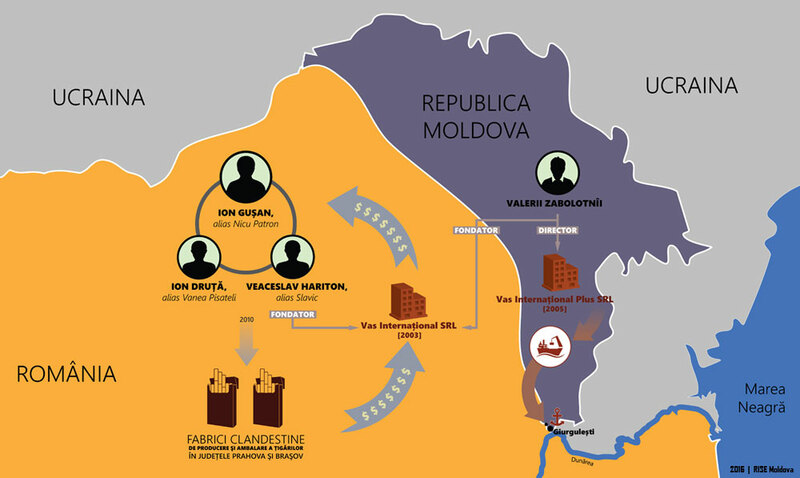 Police say the Patron gang is one of the major criminal organizations in Moldova, involved in contract killings, arms trafficking and cigarette smuggling. A group of businessmen connected to the gang wants to set up a private port for cargo ships around the Giurgiulesti port on land of strategic importance, leased from the state. Giurgiulesti is the southernmost point of landlocked Moldova, and the spot where the Prut River joins the Danube River on the border with Romania and Ukraine. At that spot Moldova has about 480 meters of land along the Danube, which authorities have been trying to develop into a port facility since 1999. An active port on the Danube would be of great value to Moldova, a primarily agricultural country with few venues for export. Currently the Russian Federation has banned the import of Moldovan produce, although talks are underway to lift the ban. Just two days after signing the document, Apostolachi resigned. However, the agreement with Zabolotniy remains in force. RISE reporters tried in vain to contact Apostolachi, who did not answer calls. Zabolotniy has only praise for Apostolachi. In addition, he blames the authorities for the lack of investment and affirms that he plans only a “landing stage” on the river. As for Hariton, his former Romanian associate, Zabolotniy says he hasn’t seen him for “two or three” years. He admits, though, that he did receive “offers” to engage in cigarette smuggling. Hariton was indicted by Romanian prosecutors for organized crime offenses and sentenced in 2014 by the Brasov Court of Appeal to 4 years and 6 months in prison. Investigators showed that the company founded in 2003 by Zabolotniy and Hariton, Vas International Ltd., was involved in money laundering operations from cigarette smuggling. Zabolotniy’s statements about his plans near Giurgiulesti Port are contradicted by the documents examined by RISE Moldova, which say that more than just a “landing stage” is planned. On July 31, 2015, two days after the addendum to the lease with Moldsilva was signed, the State Ecological Inspectorate issued an environmental expertise opinion on the project design. The project provides temporary installation of two concrete platforms, truck scales, administrative rooms, a parking zone, and four anchoring devices. These will be allow docking for ships with a capacity between 400 and 1,200 tons. Munteanu said that in fact a substantial port was being planned, despite Vas Plus calling it just a landing stage. “These things are not done with half measures. It takes a draft impact, an international study, including with the participation of Romania and Ukraine, which must accept by law that a new port is being built in their area of congruence,” he said. Meanwhile, Iurie Chirinciuc, the Minister of Transport and Road Infrastructure (MTRI), issued a draft Government decision authorizing “the transmission [from] the forest fund of 61 hectares of land located in the unincorporated part of Giurgiulesti village, to the property of the state enterprise Ungheni River Port”. However, one third of this area is leased to Vas Plus International. On those 61 hectares, MTRI wants to attract investment to expand Giurgiulesti’s port activities. Chirinciuc’s project is also supported by the Minister of Environment. “Yes, of course I accept the idea and I’ll sign the project. Port activities must belong to the state,” Munteanu said. The Minister of Transport says that among those interested in investing in Giurgiulesti port is Valeriu Guma, a former Democratic Party member of Parliament sentenced in Romania to 4 years in prison for corruption but cleared by the courts in Moldova. Guma’s possible interest in the Giurgiulesti Port could be related to the fact that Viorel Pozdirca, the head of Ungheni river port (who is in charge of Giurgiulesti port), is Guma’s wedding godson.